Gourmet Items Galore! Shop Our Online Store Here. 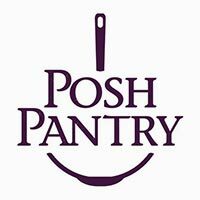 Posh Pantry is now open for business! At Posh Pantry, you will find everything you need to make the dishes you love to eat, from gourmet serving ware to the smartest gadgets. If you're looking for inspiration in your kitchen, you'll find it at Posh Pantry.